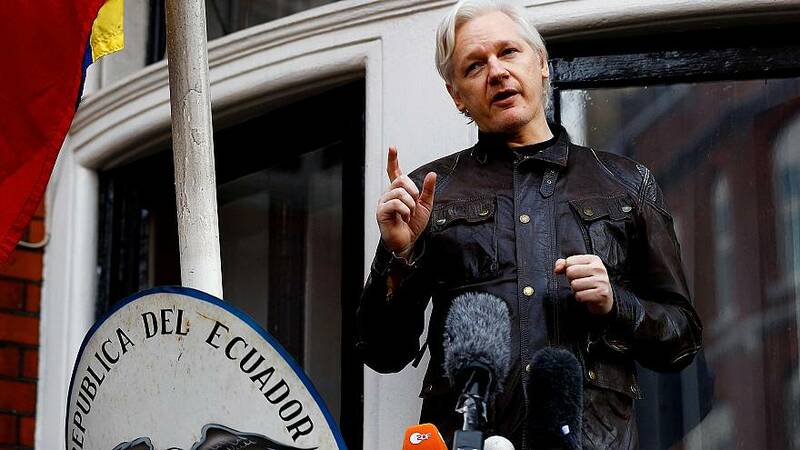 QUITO — WikiLeaks founder Julian Assange has filed a lawsuit in Ecuador against new terms of asylum in the Andean country's London embassy that require him to pay for medical bills and phone calls and clean up after his pet cat, his lawyer said on Friday. Ecuador this month created the new protocol governing his stay at the embassy. Lawyer Baltasar Garzon told a press conference in Quito that the rules were drawn up without consulting the Australian national, who has sued Foreign Minister Jose Valencia in a Quito court to have them changed. "He has been held in inhuman conditions for more than six years," Garzon said. "Even people who are imprisoned have phone calls paid for by the state," he added, describing the obligations regarding the cat as "denigrating." Garzon said Valencia was named in the lawsuit because he serves as the intermediary between Assange and the Ecuadorian government. Valencia said the government "will respond in an appropriate manner." "The protocol is in line with international standards and Ecuadorian law," he told reporters in the Ecuadorian city of Daule on Friday. The protocol stipulates new terms for Assange that include limits to the number of people who can visit him and the hours he can receive visitors. It also says that due to budget cuts the embassy is no longer able to pay medical, laundry or food costs associated with Assange's stay and that he has to keep his living area and bathroom clean, as well as pay for his pet cat's food and well being. Assange's stay has become an increasing annoyance for Ecuadorian President Lenin Moreno, who has said the asylum cannot be eternal but has been reluctant to push him out of the embassy on concern for his human rights. Former Ecuadorian President Rafael Correa in 2012 granted Assange asylum as he sought to avoid extradition to Sweden for interrogation on alleged sexual assault crimes. Ecuador in 2017 gave Assange citizenship and named him to a diplomatic post in Russia, but rescinded the latter after Britain refused to give him diplomatic immunity, according to an Ecuadorian government document seen by Reuters.